Epworth UMC where all are welcome! 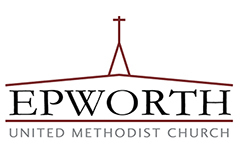 This is the first video of testimony from members of Epworth United Methodist Church's Journeying Toward Justice Committee. It includes testimony from Betty Matteson, Carie Dupree, Scotta Barsella, Nancy Myers, and Ryan Ware.